Do you ever find yourself typing the same words and phrases over and over again, either as part of your job or your school assignments? Well, reclaim your productivity right now with today’s discount software promotion, PhraseExpress Enterprise Edition! 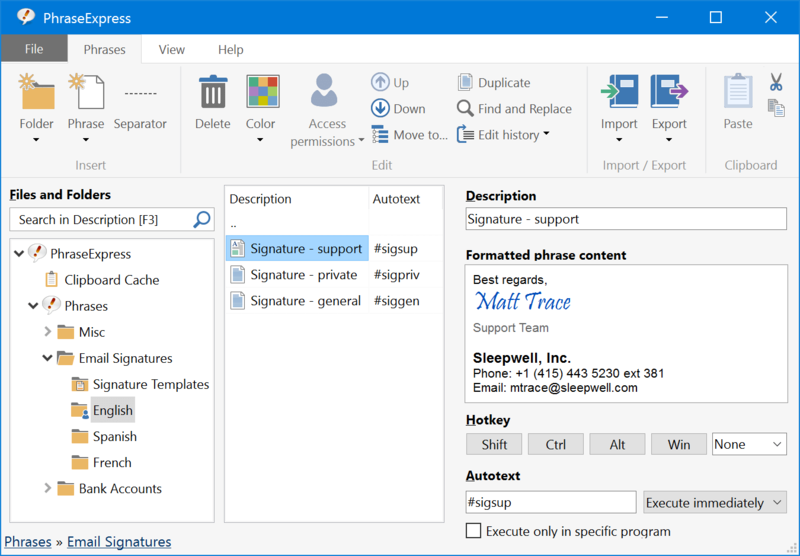 PhraseExpress Enterprise Edition provides you with autotext and autocompletion in any application, relieving you of the tedious task of typing common phrases over and over. 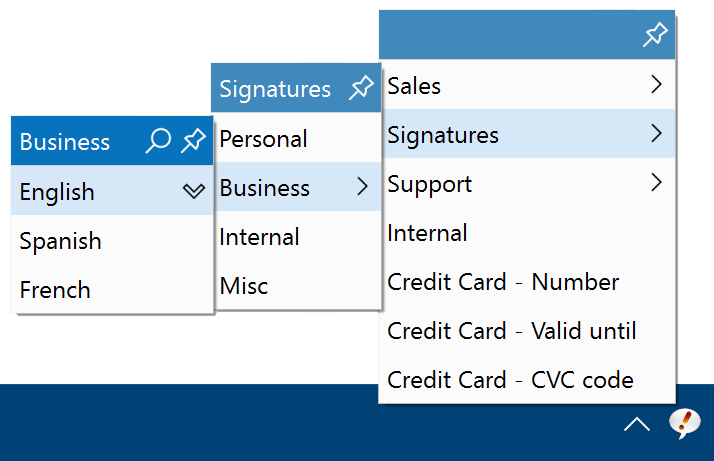 With PhraseExpress Enterprise Edition, you’ll be able to use boilerplate templates in any software program, and even automate tasks using macro automation. There’s even a Snippet Manger that organizes your most frequently used blocks into categories, offering instant access, with the capability of instantly translating to other languages. 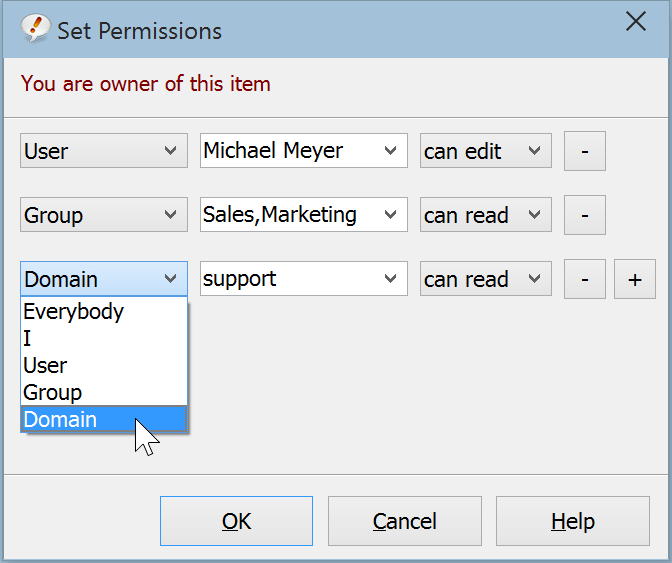 Best of all, PhraseExpress Enterprise Edition lets you customize your boilerplate templates with fill-in forms! You can even use PhraseExpress Enterprise Edition to share canned responses across the network. 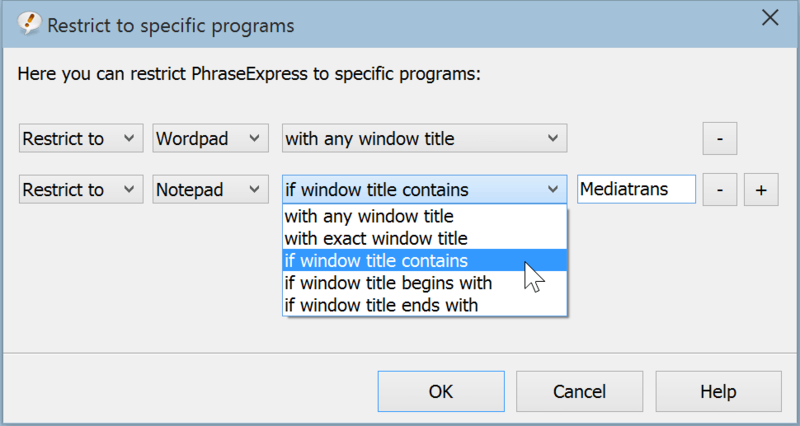 After you purchase PhraseExpress Enterprise Edition it may be used indefinitely. 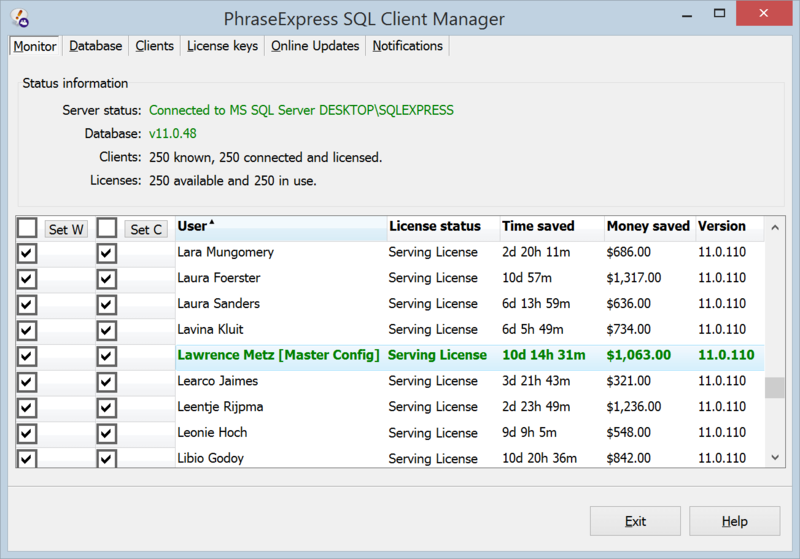 PhraseExpress Enterprise Edition is licensed per computer, and not per user. “E-mail addresses, weblinks and lots of programming code all just under one shortcut key makes Phrase Express brilliant! I love the macro function that for example enables me to start a SSH session, login, run UNIX commands and close the session all automatically.”- Gosling C.
Bertie Brummel "Licensed per computer"
My private computers are connected to a 4-port KVM Switch, 1 keyboard, 1 mouse, 1 monitor. So I can only work with 1 PC at the same time. Does your license allow to to install the software on all 4 PCs? Bartels Media GmbH PhraseExpress (without using a server) is licensed per computer: One computer, one license. Two computers, two licenses, three computers, three licenses, four computers, four licenses (and so on). I have 2 unused licences for PE Pro. I mean, not already give the keys into the program for activation, because of of a few months in hospital. Questions: can I uprade to Enterprise for one of these 2 (unused) licences? Because on your site - on the upgrade/renewal-page it just says 'No need for renewal for now (still 9 months valid). So in that way I can't upgrade to a higher version. Is this an error, as I never seen this before you can't go from let's say a standard to a pro- or ultimate edition? Adolphe I have been toying with the free version of this program for a while. It's an interesting piece of work. The publisher is German, and it shows. There's a seriousness to it which is typical, a sort of thoroughness with features and explanations which is rather to my taste. The other side of the coin is a certain degree of clunkiness : you can see the bolts and feel the crankshafts, so to speak. Engineers at work. Don't expect the slick universe of San Francisco web apps. That being said, its seems to be quite powerful. Don't be fooled by the name : it goes way beyond avoiding you to type "Dear Madam" in full. 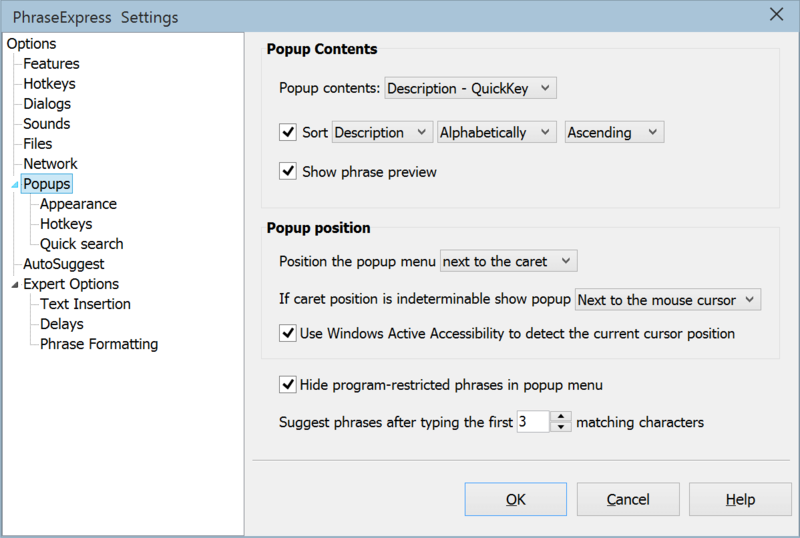 The "phrases" it can paste in any application can be tables, whole documents and even macros using external programs. User input can be sollicited. It has an external, optional appendage called Mouse Recorder doing just that, whose input can be then injected into "phrases". 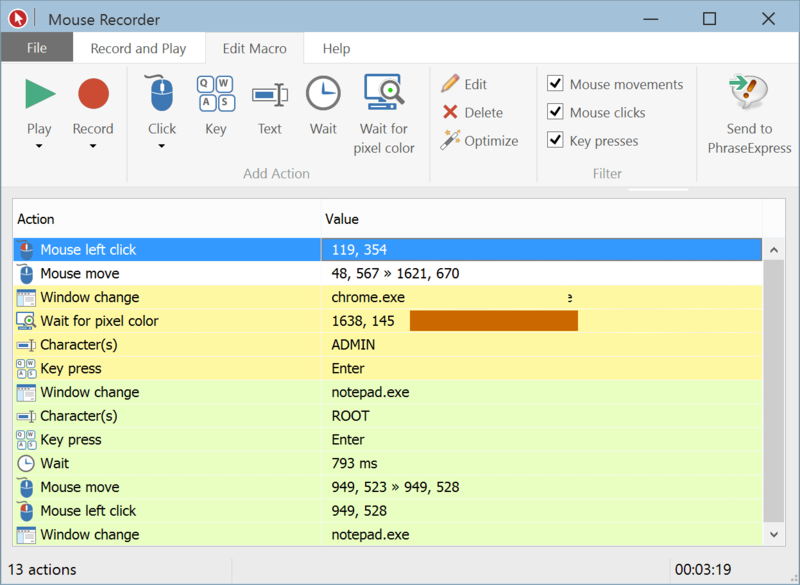 Mouse Recorder can also be used independently (it's free). However, it's a bit lacking as a standalone tool. It's difficult to understand why it wasn't simply integrated into Phrase Express : it's a separate program which has to be installed by itself. Phrase Express is unnecessarily powerful and complex if you just need to automate typing "Dear Madam" and the time of day. On the other hand, you'll need some pseudo-programming skills if you really want to exploit it to the full. Mouse Recorder is a separate option to keep PhraseExpress slim for those, who do not need a macro recorder. SoftCollector Is the mouse recorder function only available in the Enterprise Edition? Bartels Media GmbH The Mouse Recorder integration into PhraseExpress is reserved by the Enterprise Edition, indeed. Please find a comparison of the different editions at http://shop.phraseexpress.com - The promotion only applies to the Enterprise Edition. SoftCollector Just a quick note: the text that you have put on your purchase page "Our satisfaction guarantee: We want you to be 100% confident with your purchase decision. Please try the software before making a purchase decision." is actually contrary to what 100% satisfaction guarantee usually means. Everywhere around the world 100% satisfaction guarantee means returning the money paid, if the customer is not satisfied with the purchase, for whatever reason, not that the customer is responsible for making sure that he likes the product before he pays for it. Bartels Media GmbH @Softcollector: Indeed, we totally do not want your money first, but your confidence. Shouldn't sound too bad for you, should it? Nico Westerdale Great News! Bartels Media GmbH has agreed to extend this deal for another day - Enjoy! Adolphe @SoftCollector : Phrase Express does have a full version that you can try for free during 30 days. See the link above. Of course, it's not possible to evaluate such an ambitious piece of software during the short while of a Bits du Jour promotion. While the relatively high price of this program may be justified, and a 50 % rebate is significant, I'm not sure such a short-lived offer can attract many people apart from potential buyers having researched the program before. But then, it can just make the product known, to users who will buy it full price... Note there's also a version which is free for ever, provided it's for personal use. From what I understand, there are many significant features lacking compared to the paid versions, but it still appears to be a very powerful program, and a very generous offer if you're not in a business environment. The existence of this free version within what is, when used to the full, an enterprise-oriented piece of software, is quite an original combination, and may I say that it makes the publisher quite a likable company -- apart from any other considerations. Charles Beauchamp What is the availability of an ENGLISH version of ICD-10? Cataracta Secondaria ist Deutsch fur: Secondary Cataract. What about the ability to pull up an ICD-10 code with English? I purchased an earlier version of Phrase Express on a network (~20 users) for about 200 dollars but never activated it. I have evidence of the purchase in an email. What is the cost of upgrading to the current version and what is the cost? Bartels Media GmbH BitsDuJour is a software discount platform. It is not the general helpdesk for products, that are offered here. Please visit http://support.phraseexpress.com for PhraseExpress support. From the Fine Print: Transfer of a license to another owned computer is allowed. Question: is there a limit-restriction for this transfer? Or ... do I miss something in my test? N4N This is lifetime license, isn't it ? Charles Beauchamp You responded to my second question but not my first question. Assume that I looked at your video and saw that you advertise ICD-10 coding but it is clearly in German. Assume that I want to purchase your product (or upgrade it) but want to first ask you the SIMPLE question of whether your ICD-10 coding functionality comes also in English. So here is my question again: Is your ICD-10 coding in English as well as German? By the way I could not find the ICD-10 coding issue mentioned in the user manuel to which you implicitly if not explicitly referred me. Vielen Dank for a polite answer to the above question. Charles Beauchamp By the way it is in your commercial interest to respond to my first question with an informative answer. I am on a physician blog (www.sermo.com) that has about 700,000 physicians on it worldwide, including many German physicians. I will be more than willing to review your program on that blog once I purchase your product again, IF you can simply and definitely answer my question. Machen Sie Sinn, meine gute Männer und Frauen? 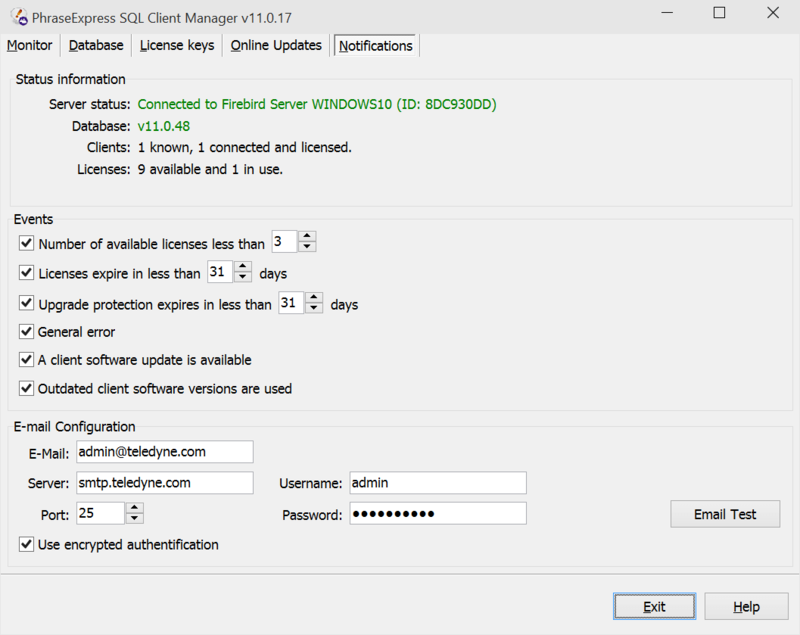 S User N4N: yes, the program is lifetime - the update-protection (and if you're lucky in 2017, a version 13-upgrade) is valid for 1 year for this offer @BDJ. Or when I manual input a phrase with a table, there is no table in Word after the trigger-autotext? When I convert in into Word-format in the PE-editor the table disappears in the editor...? The Outlook-addon ... not possible for something equal in Thunderbird? Charles Beauchamp I could not find the ICD-10 coding mentioned on a download of version 12 run in trial mode, nor could I find out how to access this functionality in the trial version. Was gibt hier irreführende Werbung? Muss man eingeben desto größer als 100.000 ICD-10 codes selbst, diese Funktionalität zu erreichen? Dieses bekannt wie ohne eine Spur Werbung verschwunden! Charles Beauchamp Ok I looked at the video pointed out by S User and yes one needs to find a vendor who will provide the ICD-10 codes. Thank you S User for a video that is very, very educational. So yes PhraseExpress has the inquired about functionality IF one acquires a spreadsheet source of ICD-10 codes. That particular functionality is indeed very useful and could be used to cross-language code in ICD-10 and perhaps insert a snippet of commentary or perhaps a YouTube video reference if one first enters, for example the name in a particular language, derives an ICD-10 code that is linked in turn to a physician or patient education commentary for entry into the clinical note or after-visit summary. Now the question is whether PhraseExpress or PhraseExpander has the greater utility in assisting in doing the above. Indeed PhraseExpander has been customized to assist (as shown in a UTUBE video in entering data into the right slots of the eClinicalWorks EMR. Wonder if there are any similar videos out there for PhraseExpress? I will purchase a modern version of PhraseExpress and PhraseExpander and do a comparison for their abilities to ICD-10 code, SNOMED code and to interface with Electronic Medical Records & with After-visit summaries. I have a huge synonym thesaurus of English, Spanish, French & Chinese medical terms terms with which I can do this evaluation. AND the interface betwixt and between terminologies using ICD-10 coding should be possible using the spreadsheet input technologies pointed out by S User. PhraseExpress: I suggest you filter your responses through S User the next time you respond to questions the way you did with me. That person is indeed a Super User who knows your product better than you do. And his responses do not "drip with distain" like your responses do. I am a physician who always treats my patients with "unconditional regard" I suggest you do the same PhraseExpress. Bartels Media GmbH Again, we kindly ask you to send technical questions to http://support.phraseexpress.com - We want to make sure to assist you as quick and competent as possibly. Comment notifications of this discount software platform are sent to sales staff but not to the technical support team.They can be reached much faster directly. Please also note, that there may be a time shift as we are based in Germany (+9h PST) and on Saturdays (today is a Saturday), offices are usually closed. Thank you for your understanding. Regarding ICD10: The video about ICD10 informs you, that we do not provide ICD 10 databases as those are frequently updated by medical institutions and we just provide a tool that can be used for ICD10 (just as you can use a hammer to build a house but the hammer does not include bricks and mortar). Chuck Please run a deal for the Enterprise Edition again!